The aluminum v hull fishing boat is an extremely popular style, making it the ultimate fishing and utility boat. Primarily used on inland waters, these rugged crafts are a favorite for fishing, pleasure boating and hunting waterfowl. With the open deck and deep V Hull this boat can reach high speeds while still providing a stable body design for fishing. These boats are typically a basic, no frills craft, with built in seating and a few other features. The outboard motor and gas tank are removable, allowing the boat to be turned upside down for storage or transport. Incredibly tough and durable, the aluminum fishing boat is made to be run up on all types of sandy or rocky shorelines. The open design makes it easy to find a good spot to fish from whether casting or trolling. The v hull fishing style also comes with oar locks, allowing users to row the vessel or attach a motor to the transom to use under power. 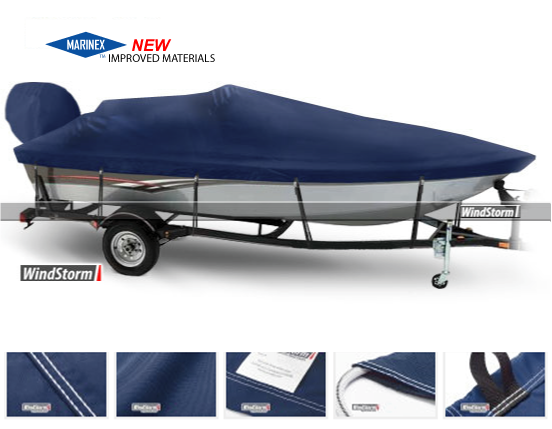 Extend the life of your boat by purchasing one of our high quality covers today! 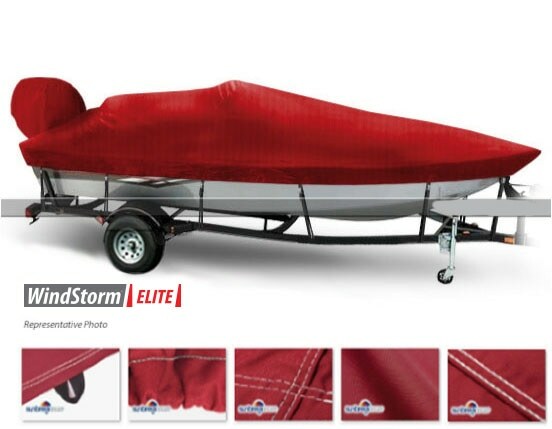 Our fantastic covers are guaranteed to protect your boat from harsh elements like UV rays and rain. 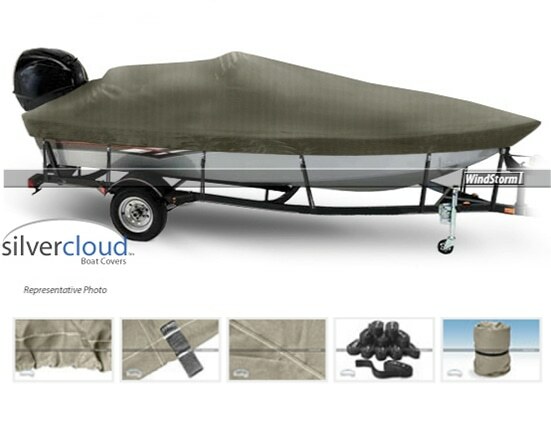 Choose from our three top quality covers - WindStorm with Sunbrella, WindStorm or Silvercloud.